This entry was posted on June 22, 2012 at 8:00 pm and is filed under Action, Adventure, Animation with tags 2012. You can follow any responses to this entry through the RSS 2.0 feed. You can leave a response, or trackback from your own site. Shame, sounds like a big missed oppertunity, will have to wait a couple of months to find out for myself as it’s not out here till then. For an animated film, it’s fine, but it’s not even in the same league as classics like Toy Story or Finding Nemo. Can’t say I’m terribly surprised by how you assessed this one. I predicted a 2.5 and was met with a 3, which isn’t too far off. Nice review. I’m going to see this today, so I’ll have my expectations set low. I’d say it compares very favorably with Disney’s Pocahontas. Don’t remember that one, sorry. But I was bored with this. My review will be up at 7:30 EST. The Little Mermaid, Beauty and the Beast, Aladdin and The Lion King – Disney was experiencing a renaissance of unheralded quality not seen since their beginning. Pocahontas wasn’t their worst film, but it was such an incredible disappointment after coming off that incredible hot streak. Oh, yeah, I do remember not liking it all that much, I guess, and seeing mixed reviews after those you mentioned. Good review, honestly I had my expectations set lower coming into it after the huge disappointment of Cars 2 so I wasn’t expecting it to be up to Pixar par. I still think it’s a good movie for people to see to form their own opinion on but my guess is most people will like it but few will love it. One thing I did like about it was that it focussed on the mother/daughter dynamic rather than the princess and her love interest. 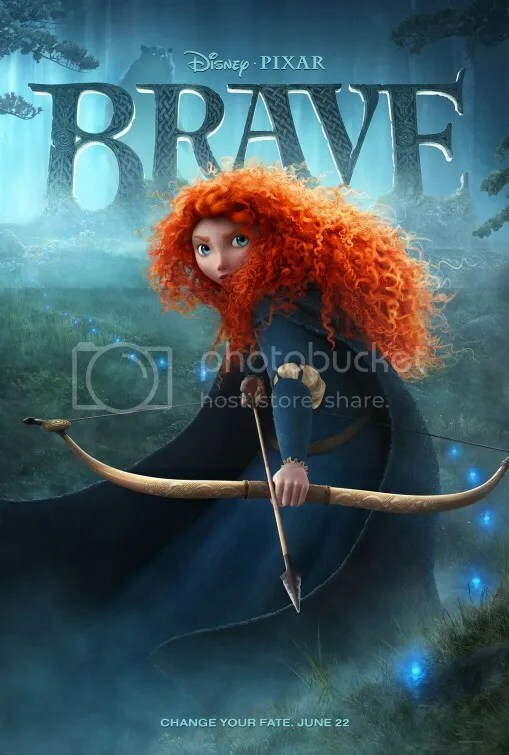 It wasn’t enough to make it feel fresh but when combined with the voice talent of Emma Thompson and Kelley MacDonald I felt like it kept me invested more than anything else in the movie. My only hope is that this is a step in the right direction for pixar on the way to a return to normalcy, I’m a little worried about Monster’s University ending up like Cars 2 but Pixar has proved it can make great sequels with the Toy Story series so my fingers are crossed. True. The mother/daughter dynamic was explored with depth and I’ll admit the voice actors were strong. I liked those very same things. I’m optimistic about Monster’s University. I think Monster’s Inc was a stronger film than Cars and, like Toy Story, give ample opportunity to make a sequel could be very very good. Really well thought out comments there. Thanks! I can pick parts of the movie, I really enjoyed, not to mention the amazing look of the film, but overall, it was a major disappointment. For a heroine, she was a selfish brat. Sorry Pixar, you should have done better. She was very self-centered and I don’t think she learned anything as people just gave into her wishes. Totally disappointing considering it’s from Pixar, but that doesn’t mean it isn’t good. It’s just not anything special especially when you put it against everything else that Pixar has been putting out for the past decade, except for last year with Cars 2. That can be forgotten. Good review Mark. Good but far from great. I expect more from Pixar, although, as you mentioned the animation was top notch. People would not be missing much if they waited to rent or watch this when it is available for streaming.